This year we have a really exciting mix of pre and post conference events. These events are provided as an extra to the main conference. Join Tapas Fleming as she guides you through the steps of TAT for your own experience of personal transformation with this simple, elegant system.? You’ll be part of the potent TAT group dynamic that fosters a great sense of peace and fulfillment.? We’ll focus on practical steps for creating non-violence and living in a condition of spontaneous happiness — what is learned will be useful in our personal, intimate relationships as well as globally in our relationship with all of life.? Our process will include our ancestors, our families and everyone who would like to benefit from this healing.? Andy Bryce has combined EFT and the Law of Attraction to help you and your clients become aware of your relationship issues in a way that will allow you to step outside gender issues and identify emotionally charged areas which may have been hidden or blamed on others. Even people who are skilled with the Law of Attraction and who use it often can throw it out of the window when they get into a relationship.? You draw certain types for a reason, you have the same issues for a reason and it is not about them! If relationships are mirrors then they are the outer reflections of your inner masculine and feminine relationships? You can discover new power and freedom by using the Bryce? Relationship Mirror Exercise. Deep State RePatterning (DSR) is a powerful approach that combines EFT, NLP, Inner child work. It works by clearing the deepest roots of issues. Deep State RePatterning goes beyond merely clearing problem states, it has been described as creating healing at a “spiritual level”. DSR can easily access roots from early childhood upward, however it can equally easily find those that occur during the birth process or those in the womb. It also works with past life and ancestral experiences. In this presentation Tania will be demonstrating this approach working with client issues that have roots from the ancestors. What Stops Us from Healing Instantaneously? Through out the ages we hear of instantaneous healings. Going back to ancient times we discover that there was a laying on of hands and people were immediately cured. There were many methodologies used – and, even in modern times, we hear regular stories of people walking when they could not walk previously, being able to see when they were ostensibly blind and healing, or going into remission (and staying there) from life threatening dis-eases. Do miracles really exist and can we create them? Ann invites you to take a look at why some people heal and others do not. What is the missing factor? What needs to happen for YOU to instantly heal? Do we really have to “work” at it – does it arrive by Grace, or through the Law of Attraction? Join this fun and interactive session to learn what holds YOU and your clients back! Dr.?nci Erkin will talk about the Science facts behind the? Energy Psychology Techniques. The modern knowledge of Quantum Physics, Epigenetic and Psycho- Cybernetic integration of the different disciplines are? taking off ?the limits towards ?healing more than ever . If we can imagine , we can do it with our intention. We can use the wisdom in us and reactivate it which the modern life and stress covered for a long long time. YOU CAN INSTANTLY UNVEIL? 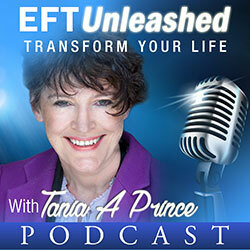 THE HEALING POWER WITH EFT TAPPINGS AND AFFIRMATIONS. In her Masterclass presentation she will illustrate how to successfully combine EFT with hypnosis and incorporate the added benefits of a Galvanic Skin Response Meter.?? This simple devise is an excellent method for working with families, professional groups as well as in one to one therapy. The machine works brilliantly to convince sceptics as well as to assist clients to learn more about how the writing on the wall of their minds affects their body.? Frequently clients with high Blood Pressure say that it helped them to use mind over matter more easily.? Doctors often ask clients how they have managed to handle their panic attacks or reduced their hypertension.? Their glowing reports promote Tam & Mair’s clinic and inspire GP’s to refer new patients to them. Working with trauma is some of the most valuable and rewarding work we can do as EFT therapists. It has probably never been more needed than it is in 2009 with men and women returning psychologically damaged from war zones, with the extraordinary levels of man-made and natural disasters we have experienced recently and with more people making the decision that they are no longer willing to live with early sexual, physical and emotional abuse without doing something to resolve its lingering effects. But trauma work is not simple or easy work.? In this presentation Judy Byrne will look at recent research on trauma and how it directs us to work more effectively with its aftermath using both EFT and other energy therapies. ?She will also talk about how we need to embed the work in an approach that is tailored to each individual client and his or her history, resources, experiences and current situation. ? ?And how, as therapists, we can keep ourselves safe.? She will give you some useful tools to use in trauma sessions. Above all, she will look at how to help clients through trauma without the experience of doing it risking re-traumatizing them. Judy’s post-Masterclass workshop on Monday, Healing your Trauma History, will expand further on energy therapy for all levels of trauma from the small stuff upwards, and give you the chance to try out Trauma Energy Therapy on your own issues and to borrow Trauma Energy Therapy benefits. EFT and Integrated Energy Techniques: From Painting by Numbers to Picasso! How do you take your practice to the next level?? What do you need to go from formulaic EFT to true unconscious artistry? Sue and Emma are passionate about EFT and spreading the word.? They are equally passionate about setting high standards of therapy.? 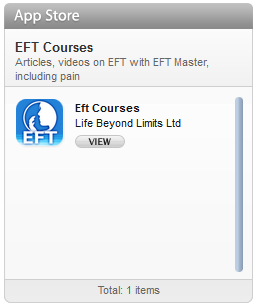 They recognize that EFT is very powerful, and fully agree with Gary Craig that it is a tool, not a therapy in itself.? To this end, they have set about providing a toolbox for therapists to wrap around their EFT practice.In their presentation Sue and Emma will demonstrate their integrated energy therapy approach which combines indirect hypnosis, NLP, Coaching and psycho-spiritual approaches – for example 12 Steps, A Course in Miracles, The Work of Byron Katie.? This has led to the development of their Diploma in Integrated Energy Techniques (EFT International accepted), The EFT Centre, which is designed to offer the wisdom of 20 years studying practicing and teaching the best of what works. In a nutshell, this course is a distillation of what you need to know and master to be a really effective practitioner. This is part of Level 2 of Reconnecting with the Core, following on from work with family and ancestral patterns. When you’ve cleared the limiting beliefs from the past, what then? How do you move forward when you’ve cleared all that “stuff” that’s been in your life and theirs for as long as you can remember? How does the world look? What will you do next? How do you want to feel? In five years time where do you want to be? What do you want to be doing? What sort of people do you want in your life? How will you feel when you achieve all of that? The aim of these shorts meditations will be to introduce you to various methods of meditation, starting from the simplest basic forms and dipping into more advance and complex methods. Presented by Samo Koprivc and Pika Rajnar. The Focus of this presentation will be on sharing Practical Applications to help those on the journey of Self Realisation. Ranjana promises to share her understanding of how to use EFT as a powerful tool in the process of Awakening Self Awareness, Self Confidence, Self Fulfilment and Self Realisation. She uses EFT with Inquiry to unravel the many stories and attachments that bind the mind to suffering, and keep us from Truth and unconditional Love. By questioning the limited and sometimes painful stories of the world and ourselves and by integrating this with EFT she focuses on the experience of Realisation of who we truly are. By utilising EFT in this way, the process of healing the mind, healing its many judgements and circular stuck thinking becomes accessible to all. This process of awakening Awareness to our innate wisdom leads to acceptance, spontaneous Joy and a Return to Source. In today’s climate there seems to be a growing thirst, a hunger to know, how can we live our Truth, feel Joy, BE loving towards ourselves and others?? How can we practice the ancient and esoteric wisdom that is now becoming available to us? Can we really heal the suffering in our minds and free our heart? In her Masterclass presentation, Marie?is looking forward to sharing?her Energy Exchange Photo Techniques?and demonstrating how to effectively combine working with EFT and photographs. She will explain how she discovered these techniques?and started tapping intuitively on a photograph with interesting results, She then?started to introduce?photographs with a few of her clients and over the years has developed many applications with?what she now calls?Energy Exchange Photo Techniques . The techniques can offer powerful results ,often getting to a core issue or an aspect really quickly and simply involve clients bringing along a photo or photographs depending on the issue, to a session or for use with phone work. For example a client had a guilt issue with her ex fiancé and brought his photograph to the session to use in conjunction with tapping. Tapping in the usual way alternating with tapping on a photograph. Tapping in the usual way whilst looking at a photograph. We all have experienced one-minute wonders. But most of the clients who seek our help require work and talent. What if there was a learnable skill which could permanently eradicate all the negative effects of a specific event?? Of course there is testing… but many times that’s not enough. ?There is a remarkable study that has shown what it is that actually heals in tapping – and what is missing when the results seem not to “stick”.? By understanding this simple science, you can change the path of your practice and your clients’ successes permanently. In autumn 2008, Pamela Bruner (from USA) and Dr John Bullough (from UK) invited all of the EFT Masters and several other leading tapping practitioners from around the world to contribute articles describing in some detail what they were doing to guide tapping and tapping therapy into new territory. Starting from the foundation of Gary Craig’s comprehensive EFT Manual, DVDs and Study Guides, which in effect define the ground floor of what Gary has called the ‘healing high rise’, the aim of the project was to discover and define what is happening at the cutting-edge of tapping and tapping therapy around the world, and how the next floors of the high rise are beginning to take shape. The result is a groundbreaking work, with contributions (39 articles, 450 pages) from 22 EFT Masters (including all 11 of the UK EFT Masters, and Dr Patricia Carrington, Dr Carol Look, Rue Hass, Lindsay Kenny, Loretta Sparks, Sophia Cayer, Nancy Gnecco and Ann Adams in USA, and? Maggie Adkins, Rehana Webster, Peter Graham and Barbara Smith in Australia/ NZ) and from Linda Wood and Helen Walker in UK, and from Pamela and John as compilers, editors and authors. In his presentation at the 2009 Masterclass, John will present a distillation of the key messages from the articles in this book, in particular addressing what REALLY works in tapping and tapping therapy and the implications of this for the future. In this presentation Robert will explain how and why we have problems along with the process of change. ?He will be demonstrating his Faster EFT style on several issues. 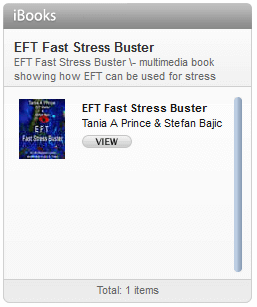 Faster EFT is a powerful approach developed by Robert that is a combination of EFT, BSFF, NLP, and hypnosis. ?It can create deep change with less tapping than standard EFT approaches. Faster EFT uses simple protocols that can produce profound results in one session without ever saying, “Even though…” With this approach there is no need for intuition, no guess work, or psychological reversal because these simple protocols will be doing all the work for you. Will spend 20 minutes Introducing ZPoint and the remainder guiding the audience through Processes designed to bring them to a place of deep inner peace and relaxation. We’ll cover releasing our attachment to our most difficult relationship with whoever that may be. We’ll also cover releasing our attachment to a difficult memories that may bother or upset. Sasha will present her Matrix Habit Reimprinting work – a unique set of protocols that she has developed for those who are challenged with addictive behaviours. Sasha created these protocols from her own experiences, and they have proven to be affective for a whole range of addiction issues from chocolate, through to alcohol and drugs. Sasha has a lively and dynamic presentation style and is committed to bringing her teachings to life for her trainees and audience members, so this will be a very practical session. A general discussion including a question and answer section, hosted by Helena Fone the new vice chair of the EFT International and other officers of the EFT International, addressing the future of EFT International as it moves toward being a self funded and legally regulated body. Please Note: In the unexpected circumstance that a presenter is unable to attend the Masterclass, Life Beyond Limits Ltd reserves the right to change the programme.